Sunday from 1 p.m. to 10:30 p.m. The Marble Brewery Club Card grants its lucky owner $1 off pints and a discount on growler refills and kegs. It’s the gift that keeps on giving. Hours: Sunday through Thursday from noon to 10 p.m.
Members of the Canteen’s Mug Club enjoy happy hour prices around the clock, and membership comes with an official Mug Club T-shirt. 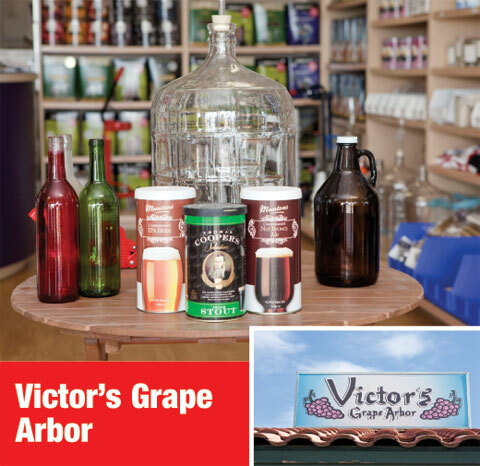 Hours: Monday through Friday from 11 a.m. to 5:30 p.m.
Saturday from 10:30 a.m. to 5:30 p.m.
One of Albuquerque’s only supply stores for home brewers and vinters, the Grape Arbor has supplied the city’s alcohol-lovers since long before the craft-beer craze hit the city. The shop offers easy starter kits for beginning brewers or more advanced equipment and supplies for those who prefer hand-selected hops and grapes. Hours: Sunday through Thursday from 11 a.m. to 9 p.m. This Deming-based winery has a small bistro in Old Town where you can choose from its entire line of reds and whites. You will also find specialty bottles, including the Wine A Rita, red and green chile-infused varieties, and a sangria. The St. Clair Mimosa, which makes breakfast drinking far too easy, is a surefire crowd-pleaser. The bistro’s shop also offers other wine-inspired gifts. Hours: Monday through Sunday from noon to 7 p.m. This sprawling vineyard in Los Ranchos has an assortment of monthly club memberships and a wide selection of wines. And with a charming location blissfully removed from the hordes descending on malls at this time of year, you will likely leave in a better mood than when you arrived.